BCF : El-Sayed is not only a Sharia compliant Muslim, but he is a Democrat socialist running on a Marxist political platform as a self-proclaimed “justice Democrat”. 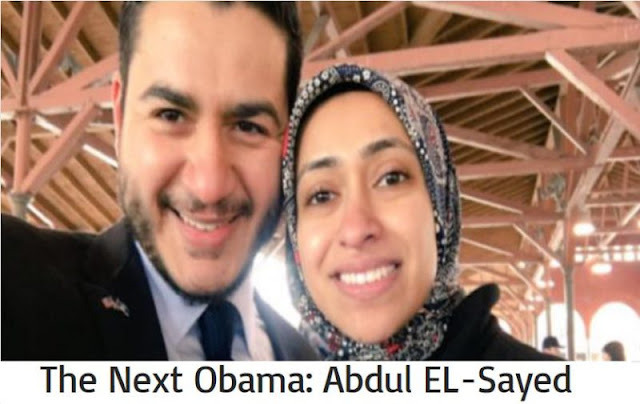 Some of the campaign talking points El –Sayed is campaigning on include socialized healthcare, legalization of Marijuana, free college tuition, abortion, opposition to fossil fuels, pro-illegal immigration, and anti-Israel foreign policy. If elected Governor, El-Sayed has vowed to abolish ICE and make Michigan a Sanctuary state where illegal immigrants are protected from deportation and immune to the actions of law enforcement agencies.